Tricia Trinder creates her encaustic art from her home studio in Sydney’s leafy north. She manages her painting practice alongside a scrum of kids and an impressive backyard menagerie. She first started using encaustics in her work in 2009 and has since developed her own recognisable style. Her current Horizon Series of encaustic works is a contemplation of the intriguing and soothing effect of gazing into the distance, where your eye is naturally led to the endless horizon. 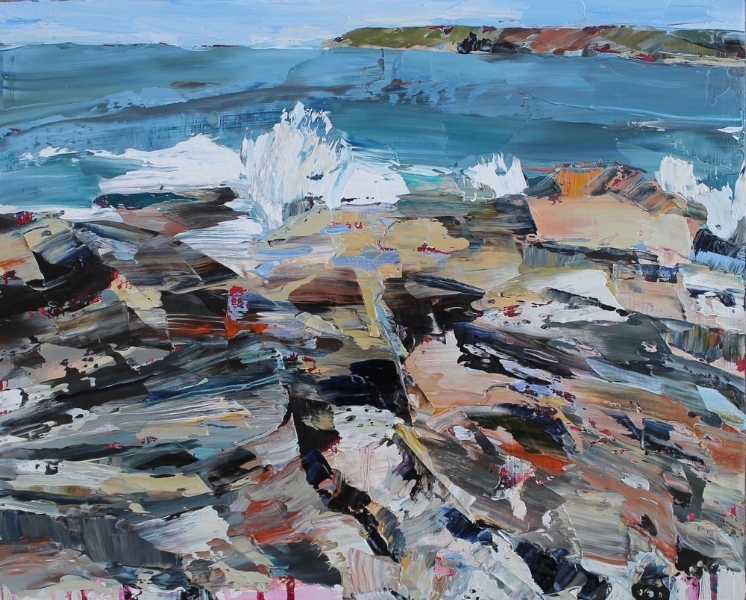 "My work begins with walking: along the Sydney coastline, over the coastal rock platforms, up on the cliffs, or sitting on the beach, observing the effect of light on water. Large seascapes start with quick studies and drawings made en plein air. Back in my Sydney art studio, I apply the rich buttery oil paint with brush and palette knife to create contemporary Australian landscapes. of the wildness and primal nature in humankind. My most recent paintings are desaturated landscapes fractured with cracks of highly saturated pigment. My enquiry is around man’s relationship with nature and the complexity of the issues that face us. James is a sculptor and an inventor who originally trained as an architect. Dr Gardiner as an inventor, is a pioneer in the field of Construction 3D Printing with 15 patents and a successfully implemented large scale 3D print system in use in the UK (FreeFAB Wax). James has always used sculpture and making as a part of his creative process and has recently decided to formally combine his exploratory practice with a career in sculpture. Miguel Gonzalez [AKA: M-Lon] from Caracas, Venezuela currently based in Sydney, Australia. Designer, self-taught in visual arts and illustration, mostly paints animals as metaphors of human behaviour inside society and issues that affect the people living in it. Miguel has participated in murals, art for video-games, concept art for the TV industry; publications, and has been part of national and international collective and solo exhibitions. Co-founder and director of B-SIDE Creative Space and Kayapa Creative Studio on Sydney’s Northern Beaches. 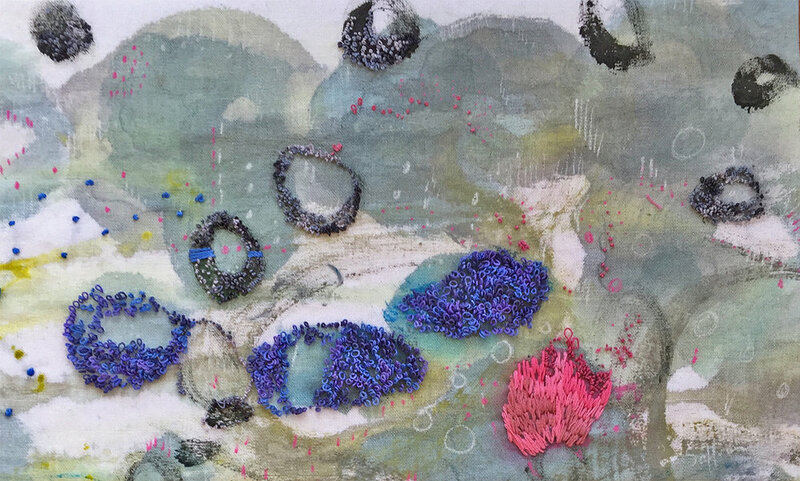 Saffron Craig works out of her Sydney studio, painting, embroidering and layering various techniques over linen. Her natural surroundings inspire her paintings. She grew up in a small coastal town in NSW and now lives by the shoreline on Sydney's Northern Beaches. Saffron works are abstracted by layering colour, creating texture with subtle shapes peeking through. My work is a response to the surroundings that impact me. This results in abstraction based on common links in the scenery of where I come from, Venezuela, and the country I now call home, Australia. I’m interested in raw, unmediated landscape, which generates the presence of something larger than us. My process involves building up multiple layers of paint beginning with shapes taken from sketches and photos of a particular environment. Painting for me is directly comparable to biochemistry, which I studied for a significant period of time. With the latter, one studies the relationships between substances in a test tube and their potential reactivity. With painting, the same sense of relationship and reactivity is looked for - between colours and between individual marks on the canvas. Paintings are also catalysts, a surface that stimulates a reaction to proceed, not necessarily seen or articulated but felt within the viewer. Eleanor is a Sydney based, multidisciplinary artist whose practice encompasses installation, printmaking and drawing. With a delicate sensitivity Eleanor’s work explores what it is to belong, the fragility of life and our relationship with the natural world. 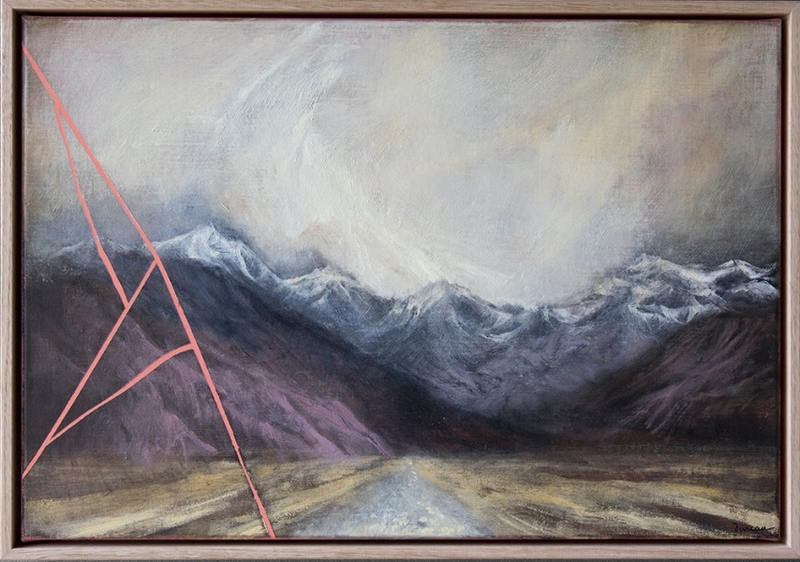 Themes of birth, death and subsequent decay underpin her recent work and through the influence of myth and the rituals of the everyday she begins to explore the intimate interior landscapes and thresholds we reside in, and move between. She holds an Honours degree in Visual Communication, has studied with the BSA and holds a Master of Art at UNSW Art & Design. Her work is held in both public and private collections nationally and overseas. 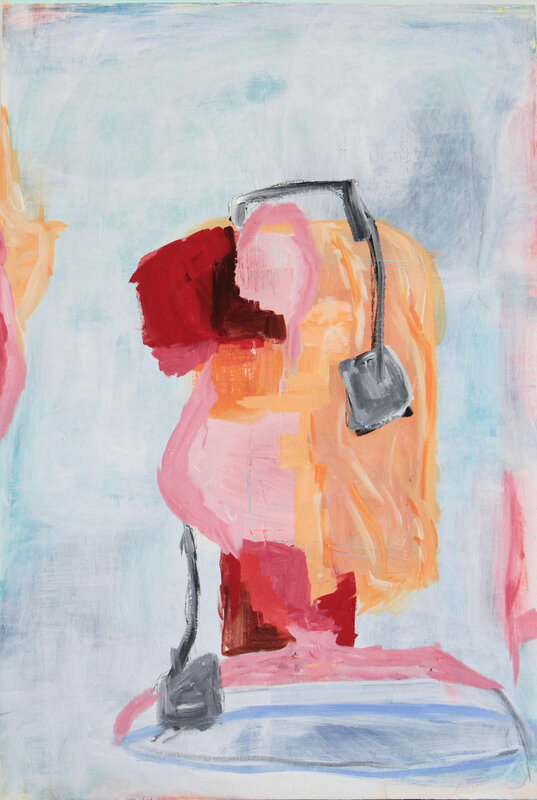 On Fiona’s creative journey she pushes her materials, layering and experimenting with how to translate the essence of a scene onto paper, board or canvas. By drawing ‘en plein air’ she is able to record that moment, responding to the landscape, creating her own interpretation of the view that she sees and feels. 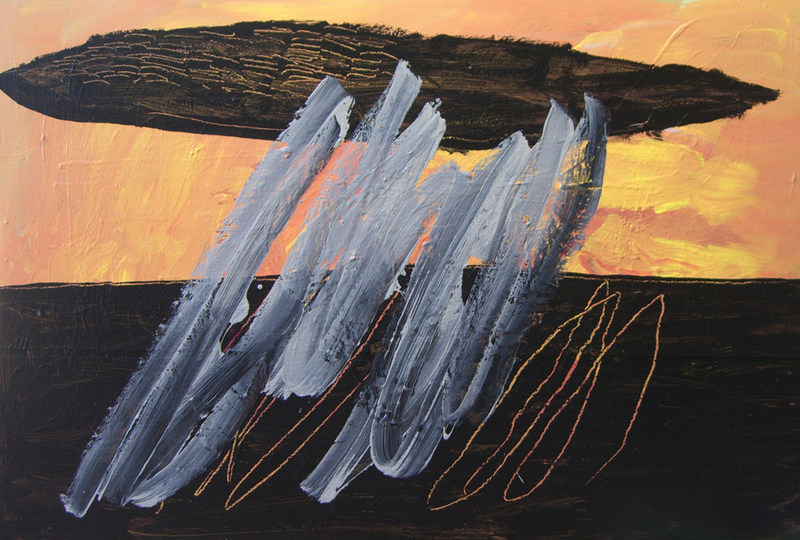 Fiona landscape paintings have been shown extensively throughout Sydney with solo and group shows. 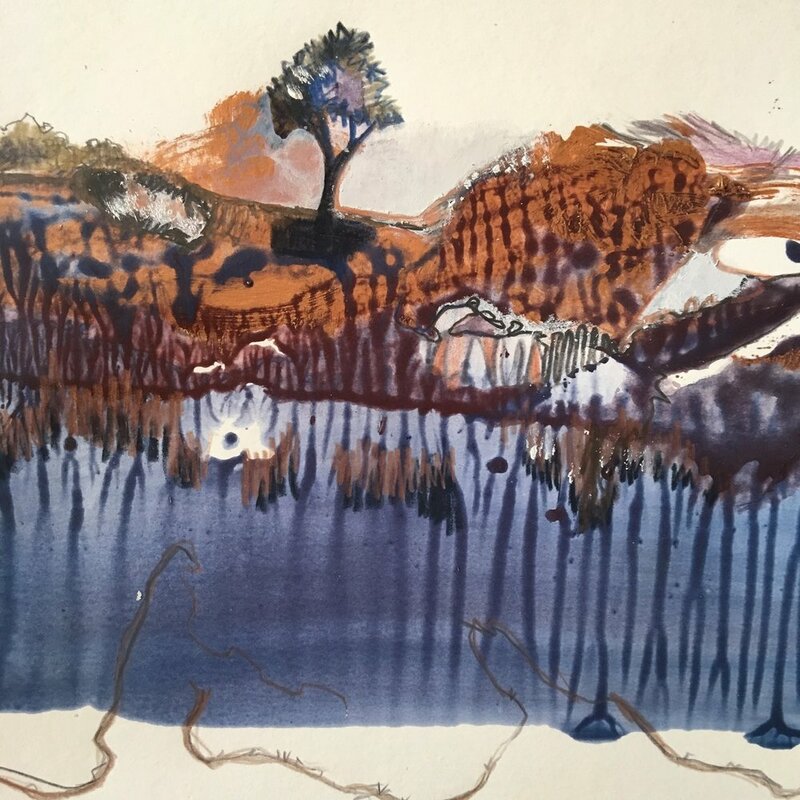 She was Warringah Councils first Artist in Residence in 2013 and has recently been working with fellow artist Debbie Mackinnon on large collaborative landscapes painted ‘en plein air’ that were part of the LAND exhibition, shown at Manly Regional Gallery.